I would like to dedicate this post to my mom and dad. Theoretically this post would connect seamlessly to our podcast. Which makes me think about what the most seamless transition from a audio to a text entry would be? We'd both like to thank any and all of you who showed the tremendous courage and determination to listen to the podcast all the way through (even with us only about 50% managed to pull that off, right Sam?). We thought that in the end it actually worked out quite well, but by any means if you have suggestions, let us know! Driving back up to the mainland, we had a few hours to kill before we would be able to meet up with my old friend Elysha and her friend Jessica. 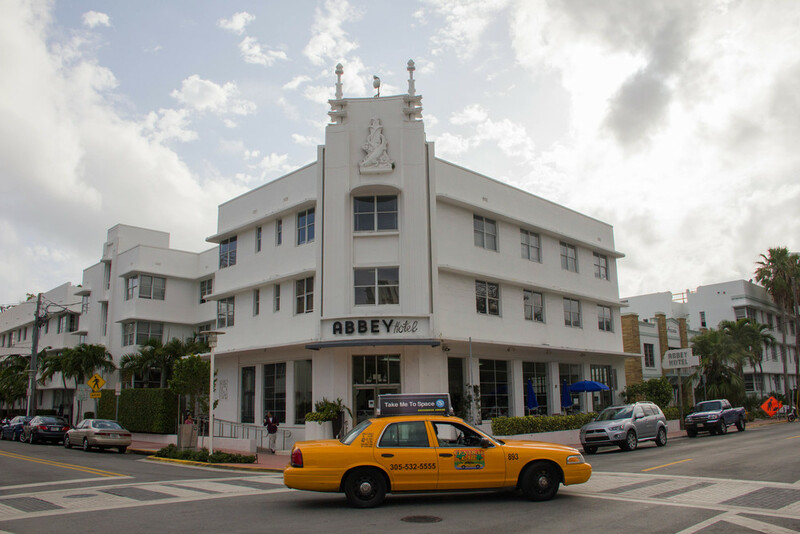 So while I was driving, Whitney located Miami Beach's art deco district and we added an impromptu stop. We parked the car, picked up our sketch books and pens and found ourselves a spot on Collins Avenue to put down some drawings. Even just driving through the district I got pretty excited talking about the architecture. I think the art deco style is so appealing to me because of its clean lines, the verticals and horizontals. It's simple but elegant and it manages to frame even very large buildings in an utterly satisfying fashion. I'm one of those people who would say, "to me all the things in the world are connected through lines", for example. Makes sense then that I feel it has a calming effect on me, right? And to make matters worse, I loved geometry in school. The cleaner the lines, the better. Woman #1: "What are they drawing?" 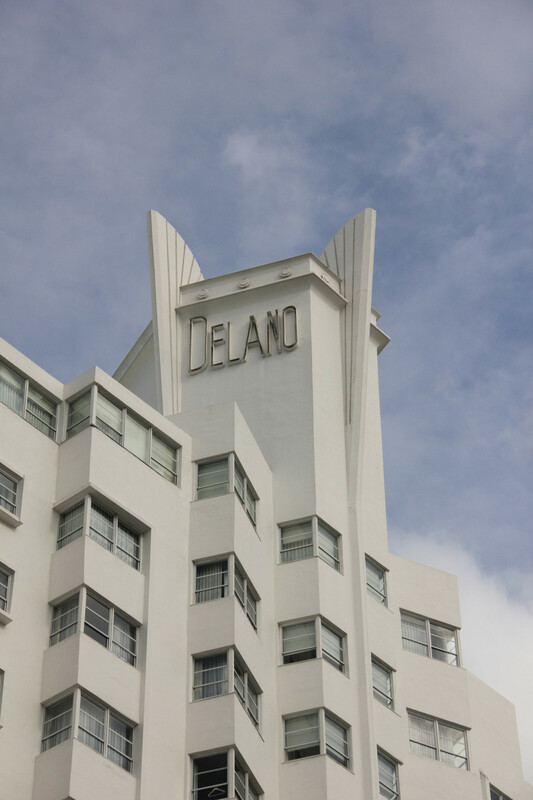 Woman #2: "It's the Delenor building, I think." Woman #2: "Yeah, she wrote it right there at the top. You can't tell?" Woman #1: ". . ."
Before we even got to Florida (and really since I knew we'd be crossing through the state) I was very eager to link up with Elysha, an old college friend from New York. That's for a couple of reasons. One, we collaborated on a number of different projects for school, some more hands-on than others. Two, and this is probably the more important one to me, she'd been a pretty solid friend to me during some of my more difficult years in the states. And if you think that sounds sappy . . . well good! In the end we met up at a Senior Burrito in Delray had some food and margaritas and talked a lot. I was happy to see how hard Jessica and Elysha were working on keeping their Taekwondo academy on track and how much joy and fulfillment it brought them. Jessica told me only about some of the things they're doing to create a diverse and creative safe community for the kids that come from all walks of life. Which really just reminds me how again and again it's happened to us along this trip, that we've run into an old friend or acquaintance and we got to take a quick peek into their lives and see what makes them tick. So thanks to both of you for taking the time to see us! It meant a lot to me ("us" here)? I also specifically rode the "Dumbo" ride for you, Elysha, just so you know! So glad we got to meet up! For the next three hours Whitney bravely trucked us through the central Floridian swamp until we emerged on the other side, unharmed and checked into our hotel twelve minutes driving distance from Disney. Thursday and Friday: Now, we spent the next two days here, one at the Magic Kingdom, and the other day at Epcot. Most everyone here is at least familiar with the Disney brand so I'll spare you any specifics. I'll just talk a little bit about my impressions from our time here. Disney is a stop added on Whitney's behest. I neither cared for nor felt the need to experience Disney World. So going into the whole thing I'd put my expectation and anticipation level at "mildly excited", I'd say. And even now, having digested it all I wouldn't say I'm burning to go back. If someone invited me, sure I'd go but I don't think I'd go out of my way. There's what you would expect: the showy-ness of it all. It's a bit contrived, you know? The smiles, the waves. It seemed like every single employee there was coached to have a positive verbal interaction with the guests. That's nice, but also so awkward to me. Sometimes I'm mad, and then I don't say anything at all to anyone all day (do they take a day off work on those days?). Oh well. You'd also not be surprised at the average guest there: a little whiter than average perhaps, a little heavier than average maybe. A lot more kids than I'd encounter in a years time on average. Nothing outrageous, just a little. The rascal scooter average, on the other hand, was completely out of hand! I mean Epcot at least has the world with a lake in the middle, but at the Magic Kingdom? Talbot, Photographer and Portugal: This is Disney! What's so cool to me about both parks were two things in particular, I think. First, and this specifically applies to Tomorrowland in the Magic Kingdom and Epcot's Future World, is that it was all a little dated. Instead of making it feel old however, it made it interesting to me, just like watching an old movie and being able to sense the (warning, big German word coming up!) Zeitgeist. What was thought to be the new and flashy thing then may not hold up to today's sensibilities anymore, but from a design point of view it's like a walk through the mind of a designer. Totally surreal, but how often do you get to touch and live in another designers world? Best research opportunity, ya know? The other was how it seemed that the ideas were realized in such an uncompromising way. It's really the slow "boat rides" with their animatronic characters that are leading the charge here, in my mind. There are "it's a small world", "Peter Pan", "The Little Mermaid", " Pirates of the Caribbean" and "Haunted Mansion" to name a few. What's so good about them is that although they all use the same set of tools, they are all so different. 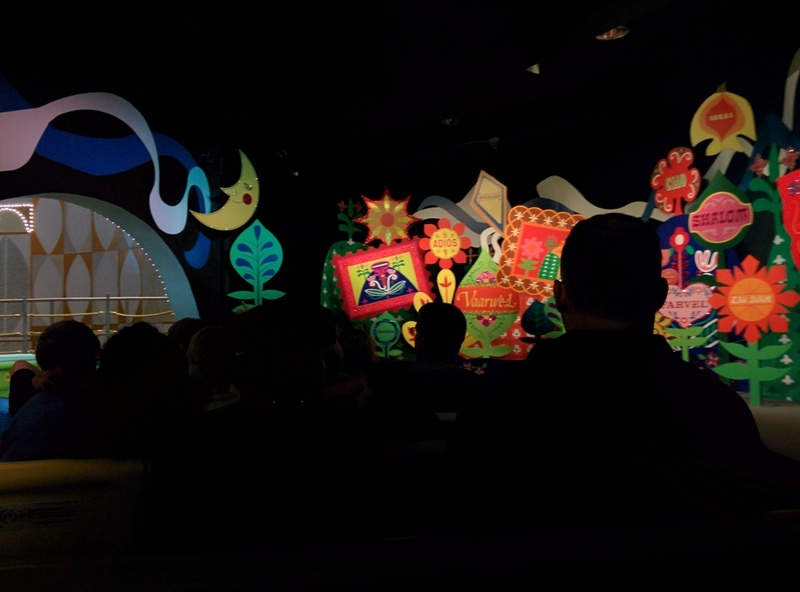 There's the extensive use of colored wooden puppets in "its a small world" and then in the "Haunted Mansion" there are optical effects, light effects, reflections and so on. So I think this creative reimagining of the same principle is something that I can completely buy into. There are some cool coasters which I actually enjoyed, because they don't have 200 foot vertical drops while twisting around their own axis. I'm wuss when it comes to that sort of stuff, and that's that. For that reason, I liked the "Thunder Mountain" coaster (twisty! ), but I think that "Mission Space" was the most novel and thus most exciting one for me. Whitney and I went for a couple of different reasons I think: Whitney wanted to share something that had been meaningful to her during her childhood. She wanted to show me how that had impacted her and perhaps in the long run given her an impetus to be a creative in this world. The Disney brand, style and look can certainly be a tremendous inspiration and creative experience to draw from. As I mentioned earlier, the execution of the individual rides looks is impeccable. When I think back now, this sort of thing let's me dream of pursuing my projects without thinking about compromising as a solution all the time. That's so refreshing and encouraging to see! And lastly we wanted to have a little fun and I'm really so glad I got to go. Though we bought the tickets to Magic Kingdom and Epcot we certainly were still on a road trip budget, so we did our best to be conscious of that and for the most part that really didn't hold us back. We splurged on dinner in Canada (Whitney O-tone: "Best steak I've ever had!") and said goodbye to an eventful two days at Disney watching the admittedly freaggin awesome fireworks show at Epcot. Whitney was so excited to finally get done with Disney, right babe? It was good that we had to drive a quiet 10 hour drive to New Orleans the next day, I think.